The women of Webster Gardens are invited to a fun and relaxing evening out! Join us at the Holiday Inn Conference Center (Watson Rd. & Lindbergh Blvd.) 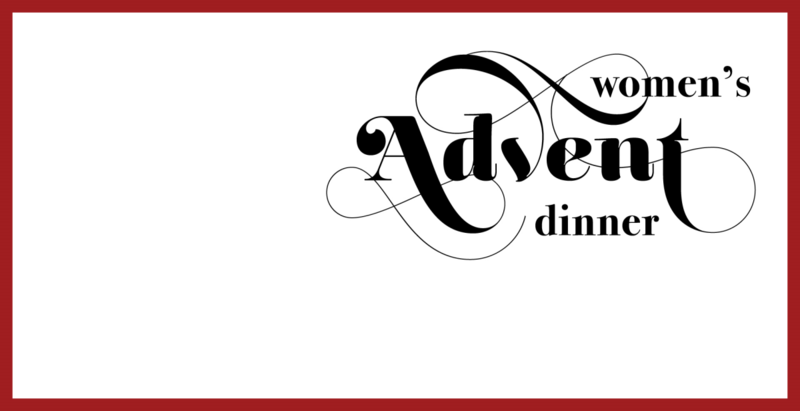 on Thursday, December 6 for the Women's Advent Dinner. Doors open at 5:30pm with cocktails from the cash bar and a pre-dinner music performance. Dinner will be served at 6:30pm, followed by an inspiring word from our guest speaker, Pastor Jason Broge. The cost is $25 per person or register to host a table of eight for $200. If you have any questions, contact Liz King at or the church office at (314) 961-5275. Sign Up Here before Dec. 1st!